Is your baby ready to start eating cereal, and you're looking for the best baby cereal? This guide has the answers! We'll discuss when you can start feeding your baby cereals, what to look for, the best brands, and the best organic baby cereal available. When it’s time to introduce your little one to solid foods, cereals are the perfect option. But what type of cereal should you choose for your baby? Which brands do moms trust, and what ingredients should you look out for? When your little one begins his or her journey with solid foods, you may find yourself wondering which foods you should give him or her first. It can be a bit overwhelming trying to figure out what’s best for your baby. Tops concerns among moms are if certain foods will cause lots of gas or even infant acid reflux. 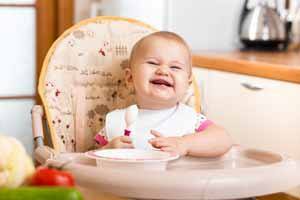 Most moms and pediatricians recommend starting a baby’s solid food journey with grains such as cereal. But don’t run out and buy some Frosted Flakes just yet. We’re talking about baby cereals, which are usually made from shredded grains such as rice, oats, and barley. Once you decide to start feeding your child cereal, you’ll notice there is an abundance of options. However, it’s important to remember that not all baby food is created equal. Choosing a nutritious, and preferably organic, cereal is an important part of your little one’s new diet. When Can I Feed Cereal to My Baby? There is no perfect time for you to start feeding your baby cereal. You won’t hear bells ringing, and of course, every baby is different. 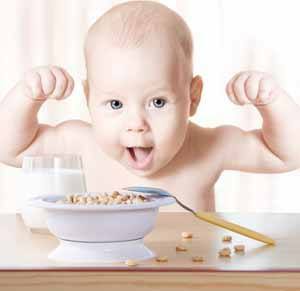 Keeping that in mind, the majority of little ones begin eating cereal around 4 to 6 months. However, some moms use cereal even earlier in their little one’s life. They often include it in the child’s milk for various reasons including severe reflux, weight issues, etc. What Should I Look for in a Cereal? When you go shopping for your little one, you want to ensure you are making the best choice. There are some things you should keep in mind as you roam the shelves for the perfect baby cereal. In today’s world, it’s unlikely that you will find any type of baby product without coming across the label “organic.” So what exactly makes that organic box of cereal any different from those without such a label? Most foods we buy today are treated with pesticides. They might also be genetically modified or were exposed to contaminants. Unfortunately, this is extremely common and has become the norm. Organic products, on the other hand, have not been exposed to any harmful chemicals and have not been genetically modified. By purchasing a box of organic cereal, you make sure you are limiting your child’s exposure to such harmful chemicals. Of course, there is the argument that organic foods are no more nutritious or safe than regular ones. If that were the case, why pay an extra penny to purchase organic? Although they may have the same nutritional components, organic is the better choice for your child. It’s simply because you can be sure the food was produced without the use of harmful substances. As we know, children are at their most vulnerable during infancy, so it seems fairly obvious that we should choose the option that eliminates any unnecessary health concerns. 1. Peace of mind knowing that their child’s food wasn’t exposed to harsh pesticides. 2. Some argue that it tastes better. 3. Organic foods are the environmentally-friendly alternatives. When it finally comes time to shop those shelves of your local store, there are a few things you should be on the lookout for while choosing the right cereal. Pay attention to the list of ingredients! Some foods that claim to be “all natural” actually contain chemicals and ingredients that are far from it. From mother to mother, there’s no need to introduce your child to such risks when there are healthy options out there. Many products can plaster the word “natural” next to their brand, but the word organic is much more meaningful. In order for food to use this label, they must meet strict criteria set by the USDA National Organic Program. Some cereals have a combination of grains and additives. There’s nothing wrong with this, but you want to start your child out with single-grain cereal so that you can easily identify the culprit of any allergic reactions or sensitivities. Earth's Best baby food is a wonderful brand and is definitely the best baby cereal brand to start with. Your baby will love any Earth's Best organic baby food products. More specifically, the cereal has a great consistency for your little one, and it's GMO free. Earth's Best baby cereals are some of the best infant cereals out there. Moreover, Earths Best cereals are also some of the most popular among moms. Happy Baby Organic Cereal is USDA organic, GMO-free, and full of additional nutrition for your baby, such as calcium and probiotics. It's a favorite brand among moms that demand quality cereal for their babies. You may also find this brand by searching for Happy Bellies Cereal. Gerber products have been around for decades, so it’s no surprise that they have a great organic cereal option. Gerber's Organic Cereal is free of GMOs, artificial flavoring, and the packaging is even BPA-free! Gerber does sell a regular version of the cereal though, so be sure to look for that organic label. Simply because the word cereal is missing from this label doesn’t mean it should be disregarded! This brand is organic, promises to use only products from organic agriculture, and is GMO-free. What’s great about this brand is that they have porridges for different stages as your little one’s taste palette expands. This brand is growing in popularity, and for good reason. It’s another organic option free of GMO and comes in handy pouches. However, this brand can be a bit tricky because not all of their cereals are organic, despite their “natural” labels. If you go with this brand, be sure to search for the USDA organic stamp of approval. Rice Cereal or Oatmeal Cereal? There is more than one option when it comes to choosing a cereal for your little one. You’ll notice that nearly every brand has a rice cereal and an oatmeal cereal. So what’s the difference, and which is right for your baby? Well, the choice is up to you. Rice cereal is made from just one grain and is considered more of a filler. It does have iron and zinc, making it one of the best iron fortified cereals, which is beneficial for your little one. Overall, rice is the less nutritional option. Rice cereal also tends to be very thin. 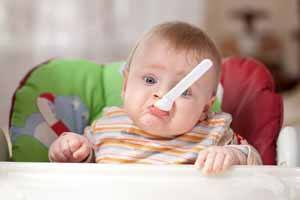 Many pediatricians recommend starting with rice cereal because it’s rare that a child will have an allergy to it, and because it’s a perfect first food to help your little one understand the concept of eating. Oatmeal cereal does differ from rice cereal in that it is made from oats rather than rice. It’s often the cereal that parents feed their child after they have finished with rice cereal. Oatmeal cereal is full of nutritional benefits such as vitamins, minerals, iron, and zinc. These are all wonderful for the development of your little one. Many parents choose to go with oatmeal cereal because it has a thicker consistency than rice cereal, and it tastes better. Another recent concern with rice cereal is the potential for arsenic to be in it. By going with a well known and trusted brand, you don't have to worry whether you're getting cereal that is safe for your baby. This is why going with one of the best brands is important. In essence, by choosing one of the best rice cereals for infants, you should be fine. I'm biased, but I think Earth's Best is the best baby rice cereal brand. I'll explain why below. You’re now familiar with the most popular brands that offer infant cereals, but what is the best cereal for babies? There are cereals out there that exceed parents’ expectations. Obviously, that’s what we’re all in search for. 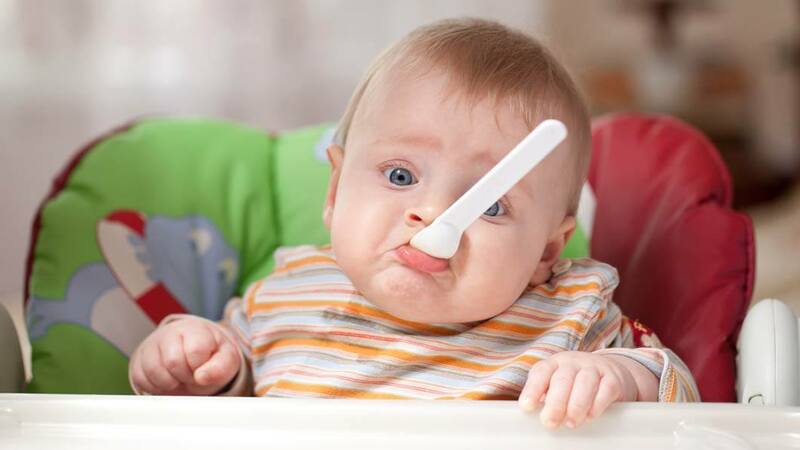 Your little one will eventually move past the rice or oatmeal cereal. The good news is that there are other delicious options that you can introduce your child to. Now we'll discuss some options that are considered the best rice cereal for babies. Maybe you're just starting your baby on cereal and you're wondering what's the best rice cereal for 4 month old. Most moms start with a rice cereal as it's the easiest one for your baby to get used to. Gerber is one of the most popular baby food brands. You can find their baby food in nearly every supermarket in the US. In addition, Gerber also makse some great organic cereals as well. I recommend considering Gerber Organic Rice Cereal as an option as it's one of the best organic cereals available. Check out the great reviews! Earths Best rice cereal is rated one of the best cereals among parents. It's definitely the best rice cereal for baby. Earth's Best Organic Rice Cereal is GMO free, and you can trust that it won't have high levels of arsenic, which is a huge relief. 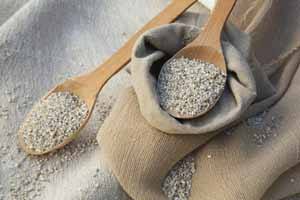 Earth Best rice cereal is probably the most popular option and for good reason. Holle is another great brand for organic cereals for babies. It's rice cereal is another candidate for the best organic rice cereal for baby. However, it's a little difficult to find! If you have found a store that carries it, please let us know in the comments below! While rice cereal is typically the first cereal most moms introduce to their babies, oatmeal cereals are a great option to transition to once your baby is used to cereal. Again rice cereals are a great way to introduce cereal into your baby's diet, but they don't have as much nutrition as other cereal options. Oatmeal cereals are one of the most popular options to transition to improve your baby's nutrition. Happy Baby is a great brand that has an excellent oatmeal cereal option. Happy Baby Organic Oatmeal Cereal is one of the best oatmeal cereal for babies as evidenced by the excellent reviews online! This is cereal is USDA Organic, non-GMO, has probiotics, and is iron enriched. It's also my personal favorite. Earths Best makes some of the best infant cereals out there. For oatmeal cereal, Earths Best organic oatmeal is another great option to consider. Consider Earth's Best Oatmeal Cereal as you transition from rice to oatmeal for your baby. It's definitely one of the best organic baby oatmeal options! This cereal is USDA Organic, non-GMOs, and is iron enriched. What do you think is the best cereal for baby? Leave your recommendations in the comments below. Earths Best organic baby food is amazing, and their multi-grain cereal is a great option to consider if you're looking for a good barley cereal. Earth's Best Whole Grain Multi-Grain Cereal includes oats, barley, and spelt. It's USDA Organic, non-GMO, iron fortified, and easily digestible. It's a great option to consider when transitioning from rice cereal. Healthy Times is another great brand, especially for barley baby cereals. NurturMe Quinoa Cereal comes in a variety of different flavors to keep your little one interested! Flavors include anything from applies to raisins to even banana. Yummy! This cereal is Quinoa based, non-GMO, USDA Organic, and gentle on the tummy. It's a great option to consider if you're looking for a Quinoa cereal for your little one. The multi-grain cereal from Happy Baby has quinoa as well as oats and amaranth. It's a another fantastic option to consider as it's USDA Organic, non-GMO, has probiotics, and is iron enriched. 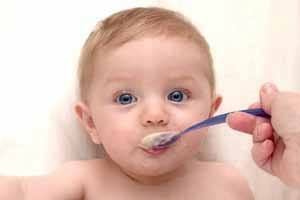 Starting your baby on solids is an exciting time for both you and baby. Organic cereal is an excellent first food to kick-start the journey. Starting your child’s diet with these types of cereal will make meal time a breeze for everyone. Soon your baby will be ready to explore everything you eat! Go ahead and suit up your little one for that first bite of baby cereal. He or she is going to love it!